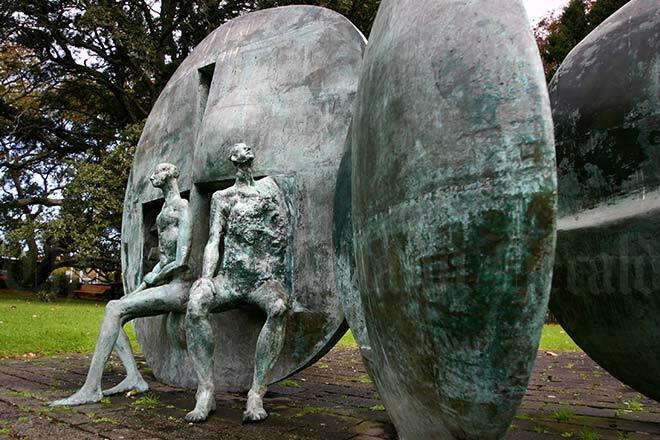 Greer Twiss's bronze 'Karangahape rocks' (1967–69) sits in a park on the corner of Auckland's Karangahape Road and Symonds Street. It is a water fountain but the flow is modest – Twiss had the water trickle gently down the grooves in the large discs so it would not spray out in high winds. The water feature broke down in the late 1980s and was only repaired in 2012.